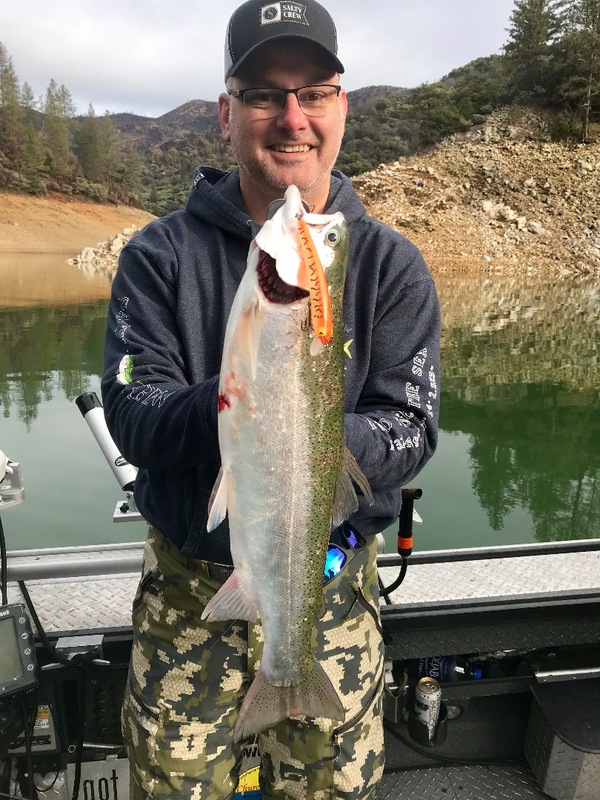 Shasta Lake trout cool off! 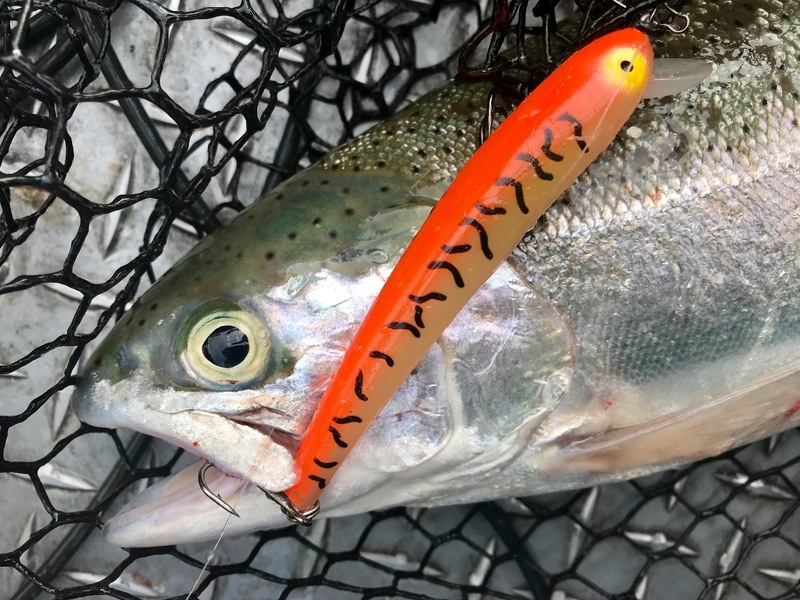 Another quality rainbow trout caught today on a Bay Rat Lure! Phil's Propeller is currently your only retailer in California. 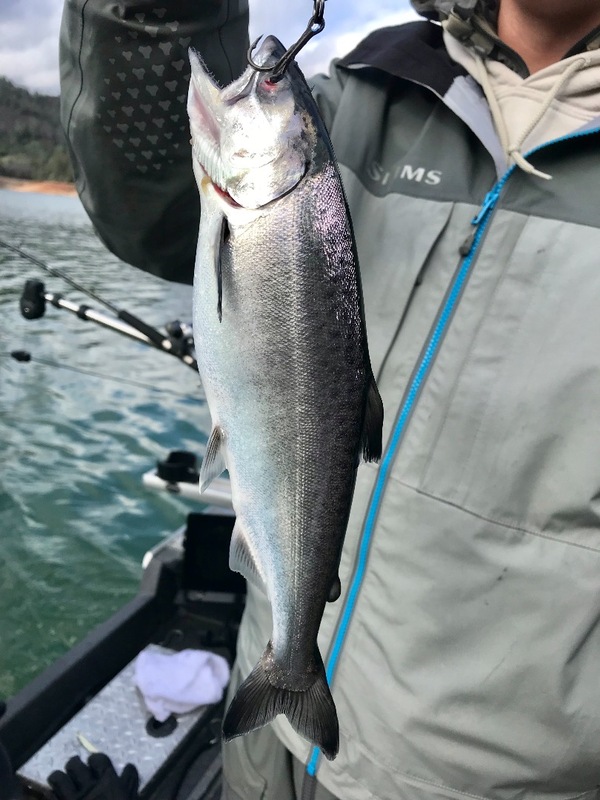 Today we fished Shasta Lake and the frigid temps outside were showing on the waters surface as well. 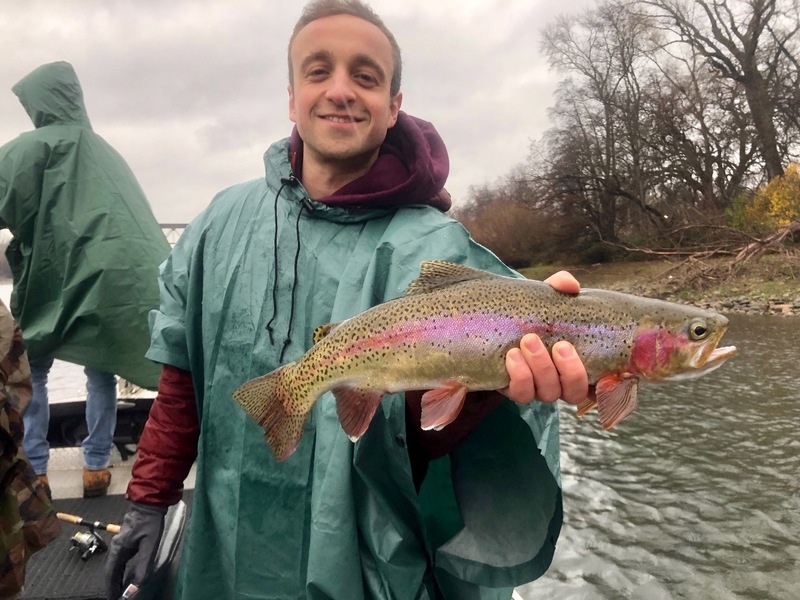 We found some 45 degree water today and found mostly smaller rainbows to go along with the cold water. We managed to get into a few big fish in one of my honey holes early on, but the afternoon bite just never came. The lake is still in great condition, even in the upper reaches of the lake in the coldest water sections we found. I'm hoping to see a few browns here pretty soon, its time!! 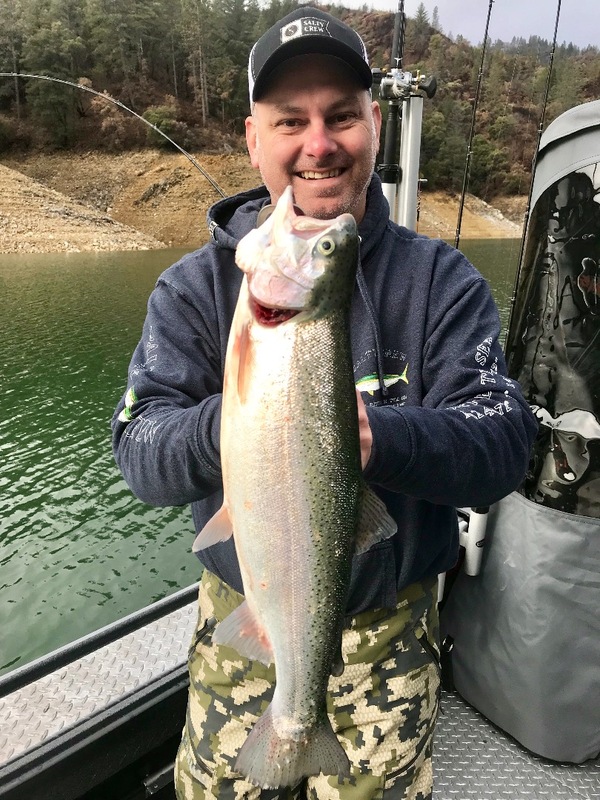 Shasta Lake: Big storm rainbows today on Shasta. 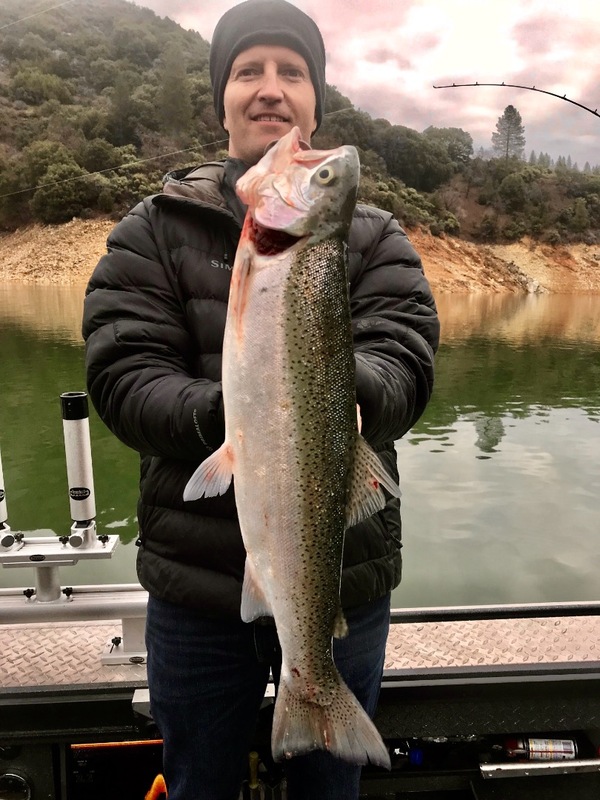 Sacramento River - Lower: Sacramento River steelhead/trout fishing a great option right now!